After spending way too much time researching HTPC cases, I’m almost certainly going with an OrigenAE case – either the black S10V or the slightly taller S14V. Unfortunately there’s only one distributor for OrigenAE in the US – pcalchemy.com – and they are currently sold out of the black cases until November according to the site. It looks like I’ll be waiting a while before proceeding with my build. In the meantime I have already ordered the Abit AN-M2HD micro ATX motherboard along with two 1GB sticks of Corsair memory. I’m looking at the AMD X2 5400+ black edition chip, a 2.8GHz dual core 65w processor for the motherboard since it should easily overclock without much effort and it’s cheap. 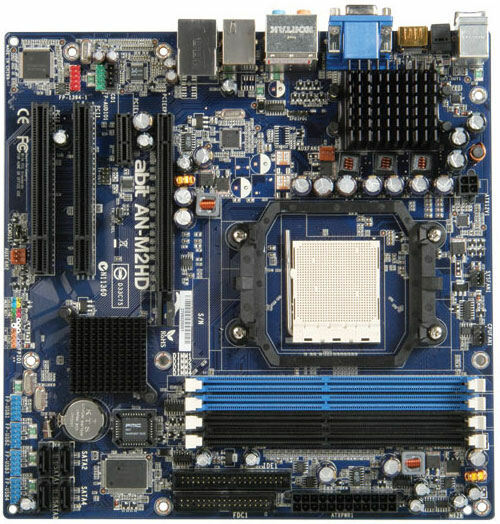 Some people are successfully using hotter quad core Phenom socket AM+ processors with this board, but it currently requires a tricky bios flash. It doesn’t seem like a good option for a small HTPC so I’ll probably give the low wattage 5400+ a try and think about upgrading later if it struggles with HD content.